She was married to Abu Bakr al-Baghdadi, the most wanted man in the world and together they have a daughter. "He was a normal family man. 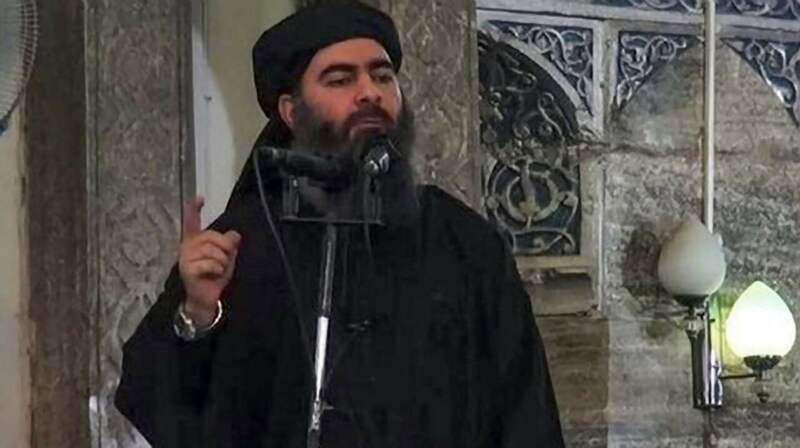 How he could become Emir of ISIS is a mystery"
She was married to Abu Bakr al-Baghdadi, head of ISIS, the terrorist organisation responsible for the violent attacks in Paris and Brussels. In this world exclusive interview with Expressen's Middle East correspondent Kassem Hamadé, Saga al-Dulaimi talks for the first time about life with the most hunted man in the world. "He has a mysterious personality and I dared not have discussions with him," says Saga. In a world exclusive interview with Expressen's Kassem Hamadé the ex-wife Saga al-Dulaimi tells the story for the first time of what it was like to live with the most wanted man in the world. We meet in a secret location somewhere near the border between Lebanon and Syria. It's springtime outside. There's a scent of lemon blossom in the air. 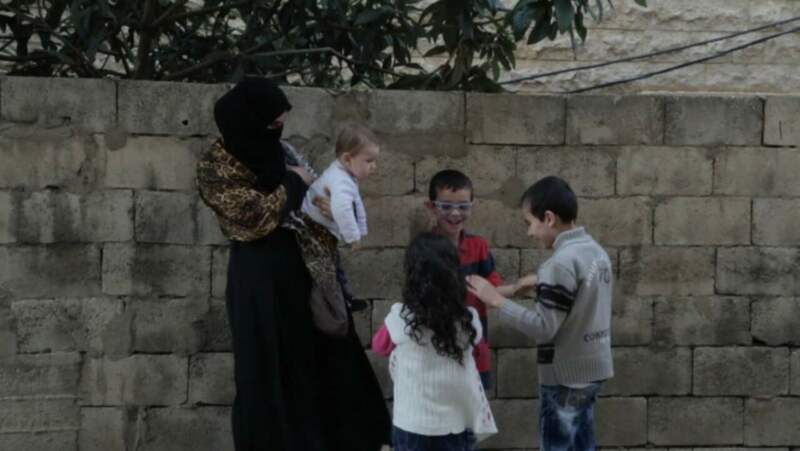 It's been four months since 28-year-old Saga al-Dulaimi and her four children were released from a Lebanese prison in an exchange with Syrian terrorist organisation the al-Nusra Front. Since then, international broadcasters and news agencies have been trying to get her to talk about her life with hunted terrorist leader Abu Bakr al-Baghdadi. Now that she has finally decided to tell her side of the story, she is doing so without demanding anything in return. We have simply promised to follow the strict security criteria: no telephone contact beforehand and the meeting must be held in a location that is far away from the family's home. Saga grew up in a conservative, upper class family in Baghdad. She had already been married once, before she met the man who was to become known as Abu Bakr al-Baghdadi. Her first husband's name was Falah Ismail al-Jasim, and he was a lieutenant in Saddam Hussein's bodyguard unit. After the fall of the regime, he and the other military generals began the Jaish al-Rashedin resistance movement, which fought against American troops in Iraq. He was killed in action a year after the wedding. Saga was now a widow, having to raise their twin baby boys, Omar and Usama, alone. One day, her aunt's husband approached her father and told him he knew about a man who was looking for a widow to marry. "I didn't know him, but my father approved the marriage," Saga explains. "I married a normal person who was a university lecturer. At the time his name was Hisham Mohammad." Saga together with three of her four children: the twin boys Omar and Usama – and the daughter Hagar who is the ISIS leader al-baghdadis and her mutual child. Her youngest son, Youssef, needs his nappy changing. She lays him on the sofa, where he can play with his big sister Hagar. It is Hagar, who will soon turn eight, who is terrorist leader al-Baghdadi's daughter. "I didn't notice that he was active in any way. I moved into his home and that's where we lived. So many of us living together in the same apartment was tough. There was him, me and my children and his first wife and her children," explains Saga. Saga felt lonely and weak after losing her first husband. Her mother, father and siblings had all moved to Syria. Both of his sisters' husbands were gone - one was killed by American troops and the other just went missing. She says that she needed help and support. "We were all living together in a small space, but I didn't know where to turn after my first husband was killed," says Saga. At first she was scared that her new husband would not be kind to her children. There is a tradition in Iraq and in Muslim communities where married men marry widows, so that they can look after their children. They believe it is a good deed that will be rewarded after death. "He didn't say much about his background. He was mysterious. He wasn't very talkative. We met in the evenings, over dinner. He spent his days at the university, where he taught religion and Sharia. He would sometimes disappear for several days. He said he'd been to visit his brother," says Saga. Saga was not happy in the new marriage. Not because al-Baghdadi was unkind to her or her children. On the contrary. She says that he took better care of the children than of the women. "He loved the children. He was their idol. He was an excellent person in that respect, but my relationship with him was shallow," says Saga. Saga felt guilty about moving in with al-Baghdadi. He had not told his first wife that he was going to take another wife. Saga says that she would prefer to forget her first meeting with al-Baghdadi's first wife. She left after just three months of marriage. "I had been pregnant for a month without either of us knowing. I left him. Yes, you could say that I fled from him. It had nothing to do with him as a person. I wasn't happy. It was unfair on his first wife. She was very upset. That's why I left," says Saga. She moved back in with her first husband's family in Baghdad. Saga is cautious about revealing intimate details of her relationship with al-Baghdadi, but emphasizes - several times - that their relationship was 'shallow'. I ask if she loved him. "No, I was not in love with him. I didn't love him. He was an enigmatic person. You couldn't have a discussion or hold a normal conversation with him. In the evening, when he came home, we would usually eat dinner together. He just asked about things and told me to fetch things. He gave orders, nothing more," says Saga and looks towards her new husband who is standing in the doorway, listening. She would rather not talk about her ex-husbands in front of her new husband. She is worried that he will get jealous. After the US-led invasion of Iraq in 2003, armed groups were mobilised against the occupation. Several of Saga's family members, including her brother, were active members of the resistance movement. "But not him. I didn't notice that he was actively involved in the resistance movement at all. He was a normal family man. How he could become Emir of the most dangerous terrorist organisation in the world is a mystery," says Saga. Al-Baghdadi made contact with her even after she had moved out. When she gave birth to their daughter Hagar, he found out. He got in touch with her and tried to persuade her to come back to him. She refused. "The last conversation we had was in 2009. He asked me if I wanted to come back. But I'd made my decision. He said I could keep Hagar until I remarried. He wanted her back if I should remarry." Saga with Hagar, the twin boys and the new baby Youssef. The civil war had been raging in Syria for two years when, in the summer of 2013, Saga decided to visit her family - her mother, father and siblings - in Damascus. Her father, Abdulhamid al-Dulaimi, had been a businessman in Iraq during Saddam Hussein's reign, but he relocated to Damascus after the regime collapsed. "I didn't know that there was chaos and war in Syria. I watched Syrian television channels, and they claimed that everything was under control. That's why I went to Damascus," claims Saga. She was on her way to meet up with her father when they were arrested by the Syrian security services. "They wanted to get to my father. He'd been on the phone with my brother Khaled, who had helped armed groups like the Free Syrian Army," says Saga. 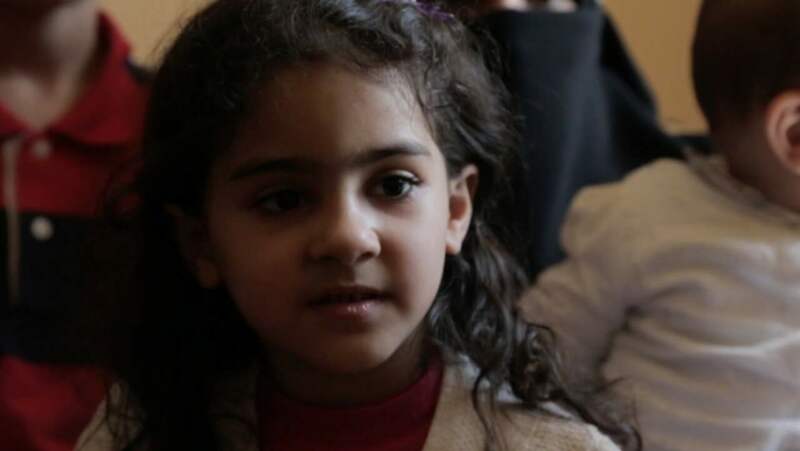 While Khaled was fighting in the Syrian war, her other brother, Omar, had been arrested in Iraq and sentenced to lifetime imprisonment for terrorist attacks in Basra, southern Iraq. Terrorist sect ISIS claimed responsibility for the attacks. "I wasn't a suspect for anything in Syria. That was my first visit. They just wanted to get to my father," says Saga. The Syrian security services claim that Saga's father is one of the leaders of the Syrian al-Nusra Front terrorist group (al-Qaida). In March 2014, after six months in a Syrian prison, she was released along with 151 other women, in a prisoner exchange between the regime in Damascus and the al-Nusra Front terrorist group. Al-Nusra released 13 nuns from the Christian town of Malula who had been kidnapped in December 2013. "It was my brother who got me released. He knows one of the leaders of al-Nusra. I hadn't seen my brother Khaled in a long time. When I was released, I was met by a tall, athletic man. He was armed, masked and I think he was wearing an explosive belt when he tried to hug me. I pushed him away. He said, 'I'm your brother, Khaled.' I cried and collapsed from fear and exhaustion," says Saga. Ten days later, the Syrian army stormed al-Nusra's positions in al-Qalamoun. Saga fled to Lebanon - she crossed the border illegally. She was arrested in Lebanon. "It was when I got to Lebanon that I received the shocking news. They showed me pictures of my ex-husband and asked me if I recognised him. It turns out I was married to Abu Bakr al-Baghdadi. It was a shock to find out - seven years later - that I'd been married to the most dangerous man in the world. I smashed a window in anger." The Lebanese authorities ran DNA tests on all four of her children. The tests confirmed that al-Baghdadi actually was Hagar's father. One year and three weeks later, Saga and her children were released from prison. Again, as part of a prisoner exchange - 13 al-Nusra members for 16 kidnapped Lebanese soldiers. Saga tells us that she asked for her brother Khaled. But he wasn't there this time. He had been killed in action. "I can't go into detail about how I was treated in the Syrian prison. In Lebanon I was isolated with my children, but none of the soldiers did anything bad to me," says Saga. Saga does not mince her words when it comes to ISIS. She calls them terrorists and describes al-Baghdadi as a terrorist leader. I ask her what she thinks about the attacks in Brussels. "It's murder, blood and brutality. As a mother, I consider what they're doing to be terrorism. If someone hurts my son, he's a terrorist. Every mother thinks that," says Saga. Hagar comes into the room and stands next to her mother. She is not shy and wants to tell us about her dreams. She really likes her curly hair and says she wants to be a hairdresser - or a lawyer. "She has the entire world's disaster upon her shoulders. What are children guilty of in all this? It's not her fault that she's the daughter of the world's most hunted terrorist." Hagar tells us that she no longer goes to school. "Because… My brothers went to the same school as me, so no one would hit me." Hagar says that there are mean children at school. "I have three friends - my brothers Omar, Usama and Youssef." She willingly shows us her iPad and tells us about the games she likes to play. "The Smurfs, Trains and Gorilla." Are you a Smurf or a princess? Hagar, the daughter Saga has together with the leader of ISIS, is eight years old now. Saga tells us that the Lebanese authorities allowed her to choose between returning to the al-Nusra and ISIS-controlled areas of Syria or remaining in Lebanon. She chose to stay. "It was an old dream of mine, to move to Lebanon," she says. "It's every Arab woman's dream to live in Beirut, the home of civilisation and freedom." What do you think about ISIS closing down girls' schools and recruiting children to blow themselves up in terrorist attacks? "That's what I was afraid of when I was exchanged. I had the option of staying in the militant-held areas, but I chose Lebanon for the sake of my children." Saga says that she is in favour of freedom, but also the practice of Sharia. She does not think that freedom and Sharia are conflicting ideals. Are you in favour of freedom? Unconditional freedom and women's rights you mean? "Do you think I'm against it?" Are you in favour of Sharia? How does that work, being in favour of both Sharia and women's rights? "It's Sharia that gives freedom and rights to women." But at the same time, Saga says that if she was forced to choose between living in Saudi Arabia and living in Beirut, she would "of course" choose Beirut. "She has the entire world's disaster upon her shoulders. What are children guilty of in all this? It's not her fault that she's the daughter of the world's most hunted terrorist", Saga says of her daughter Hagar. And now she wants to travel westwards. She says that she does not want to remain in the Arab world. "No bearer of burdens shall bear another's burden." "Where is my guilt? I was married to him in 2008. We're divorced now. I was the one who left him. I'm a woman who has been through a lot and who has suffered in prison. If I wanted to live with al-Baghdadi, I could have lived like a princess. I don't want money. I want to live in freedom."